Now Tesla issued a response to the claims made in the article. 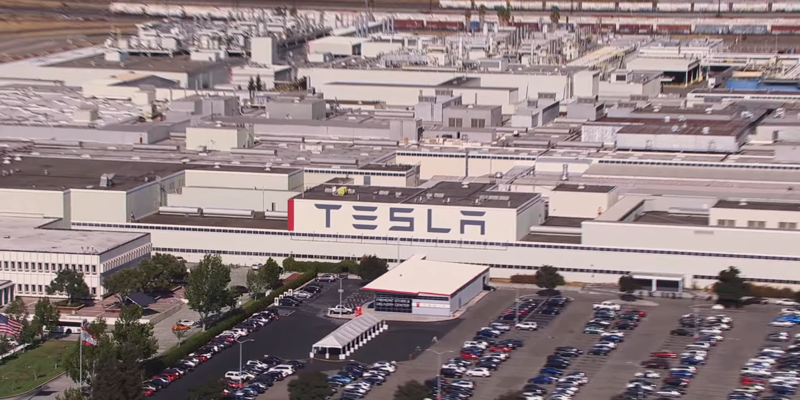 Recruited by a small Slovenian company called ISM Vuzem, Lesnik, 42, and his co-workers were flown into the U.S. for months at a time, housed in nondescript apartments, and shuttled to the Tesla plant six and sometimes seven days a week, according to workers and the suit. Again according to the report, the workers entered the country under a visa B1 which shouldn’t have allowed the type of manual labor they were doing. They were also reportedly paid only $5 per hour. While the lenghty report very much reads like a hit piece on Tesla despite the company being only one small piece of a much bigger puzzle, it is succesful in bringing attention to this despicable practice of exploiting foreign workforces. Based on the lawsuit, on May 16, 2015, Lesnik, an electrician, climbed atop the paint shop roof and onto an unsecured tile, then fell nearly three stories to the factory floor. He broke both legs, some ribs, tore ligaments in his knee and sustained a concussion. Now every single party (Tesla, Eisenmann and ISM Vuzem) denies legal responsibility for both the accident and the working conditions, but now Tesla issued a responce again denying any legal responsibility though highlighting moral obligations if the statements made in the report are true. At Tesla, we aspire to operate on the principles of hard work and exceptional performance, but always tempered by fairness, justice and kindness. There are times when mistakes are made, but those are the standards to which we hold ourselves. With respect to the person at the center of this weekend’s article in the Mercury News, those standards were not met. We are taking action to address this individual’s situation and to put in place additional oversight to ensure that our workplace rules are followed even by sub-subcontractors to prevent such a thing from happening again. Creating a new car company is extremely difficult and fraught with risk, but we will never be a company that by our action does, or by our inaction allows, the wrong thing to happen just to save money.